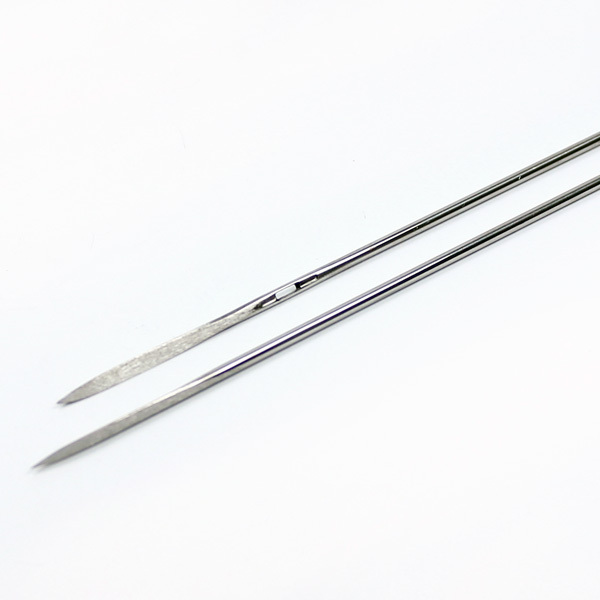 Osborne Straight Double 3 Square Point (Leather) Needles. Heavy 11 gauge. Available in 12, 14, 16 or 18 inch lengths. 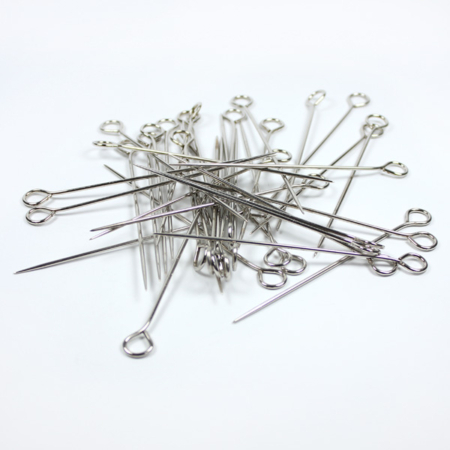 Osborne needles and pins have long been considered a standard for fine quality, they are known for their experience and efficiency in the art of needle making for over 175 years. 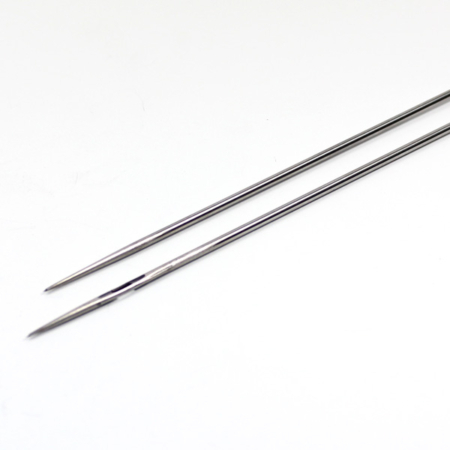 These Osborne 3 square point needles are needles that have been designed for use on leather. The 3 square edges mean that the needle will not split but cut the leather as you push it through. 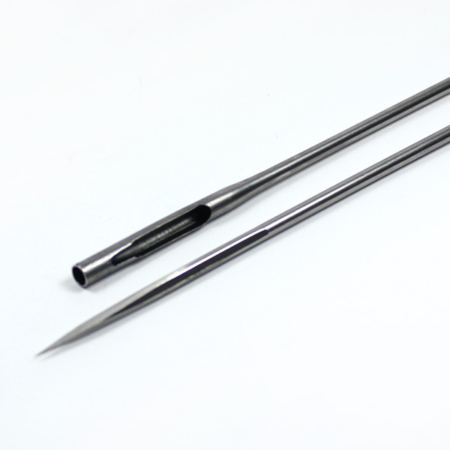 Osborne 3 square point needles have a very sharp point at both ends. An example of its use is for attaching buttons to furniture, headboards etc. 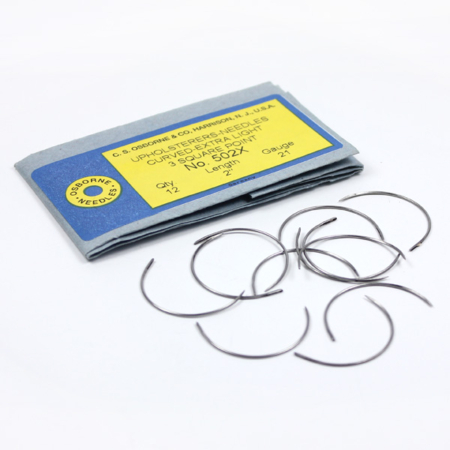 Also for blind or edge stitching through scrim and hair. If you require any further information on our Osborne needles, please contact our sales team on 01384639990.